In this week’s episode Oakley Gordon speaks with Joanna about the masters of the heart; a dance of reciprocity; the man with the shining eyes; the aliveness of Nature and the Cosmos; a relationship of love with the Pachamama; seeding a future of greater beauty and love; the stars within us; the magic ingredient of intent; living the complementarity of opposites; two Andean meditations of energy with the Earth. Oakley Gordon received his doctorate in cognitive psychology (the study of perception, learning, memory, and consciousness). For the past twenty two years he has been exploring the Andean Cosmovision under the tutelage of his Peruvian mentor and friend don Américo Yabar. In his trips to Peru Oakley has also worked with many other Andean paqos (mystic/shamans) and healers. 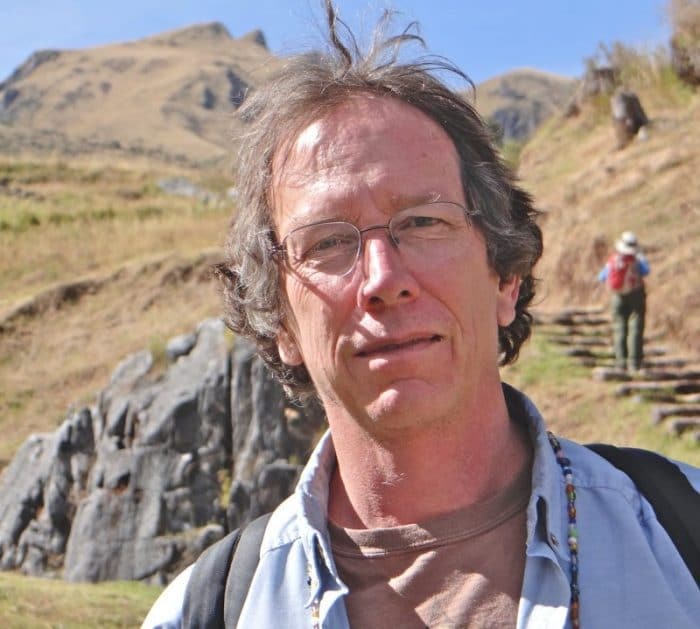 He has shared the Andean Cosmovision with Western society through papers at academic conferences, presentations to the public, a few articles, an extensive blog, and several hundred experiential classes and workshops. Over many years of going to Peru to learn the Cosmovision, coming home to integrate it with his life in the West, and then teaching it to others, he has reached the point where he ould write this book, “The Andean Cosmovision: A Path for Exploring Profound Aspects of Ourselves, Nature, and the Cosmos”.